Swamp Boys Win GC at Sam’s Club Tampa! I arrived late as usual and got right to work. I was set up next to 3 Eyz whose trailer I brought over the day before. I don’t recall anything exceptional about the cook but the judges seemed to like it, rewarding it with a 2nd in Chicken, 3rd Ribs, 3rd Pork, and 1st Brisket and Grand Champion! The win will move me on to the semi-final round in Hendersonville TN in September. Swamp Boys Sam’s Club GC! BBQ Pitmasters Season 4 Selects Swamp Boys! 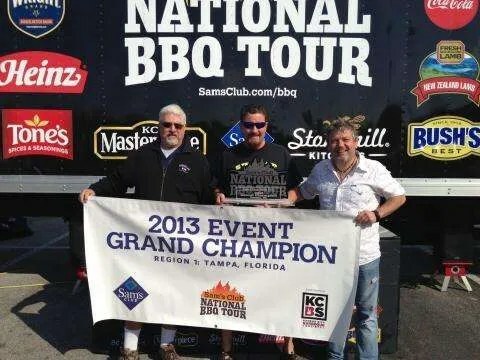 Swamp Boys has been selected as one of the teams competing on the Destination America TV Show BBQ Pitmasters! Details haven’t been released yet but as we can we will fill you in. Thanks to all of my sponsors who have helped us get to this point: BBQr’s Delight, Butcher BBQ, 3 Eyz BBQ, Wicked Q, and Grizzly Coolers! Three Grizzly’s have made their way to central Florida and I love it. 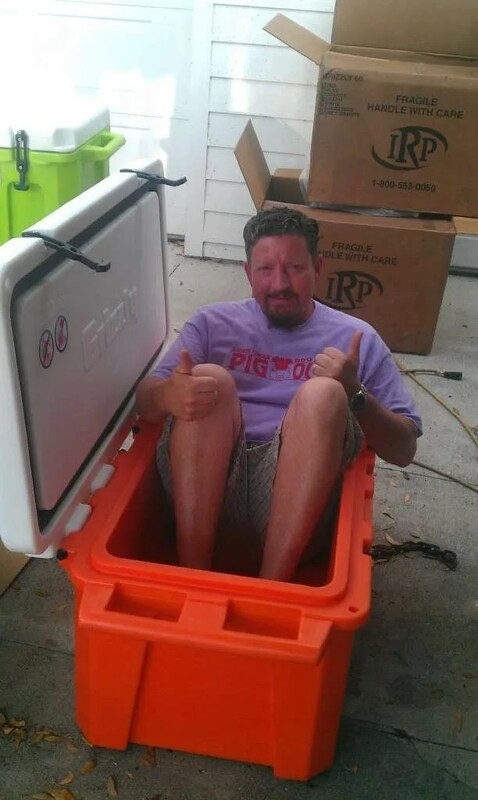 I received my coolers from Grizzly Coolers for Swamp Boys BBQ Team today and they are awesome! The build quality is the best, the gasket is really thick, the ice retention is longer, and the price is competitive (if not lower) than the competition. Not to mention they come in colors and have a LIFETIME warranty! The 150 has lots of room! 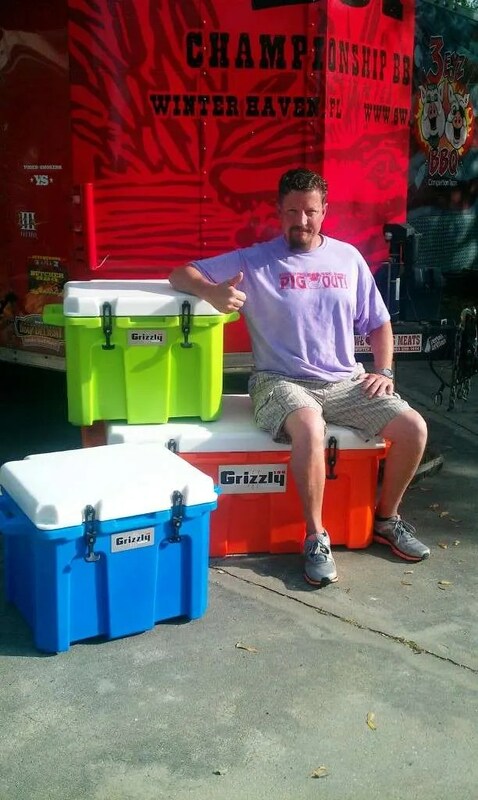 A big “Thank You” goes out to the crew at Grizzly Coolers who make these. 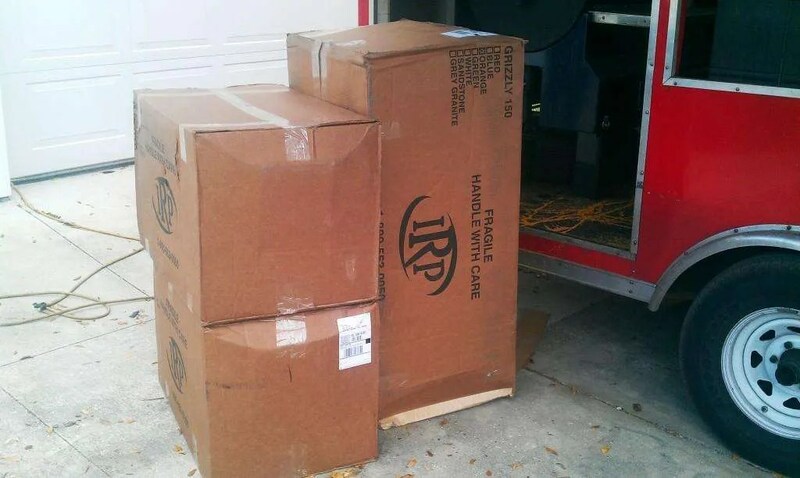 It is so great to own quality products that are proudly made in the USA! Be sure to stop by my cook site and check them out for yourself. I also have a brochure you can have if you want one. Love these coolers! This marked the 9th annual SOTW contest held in Winter Haven, produced by my friend Frank Csomos. This is a much needed fundraiser for the local Boy’s and Girl’s Clubs and helps enable them to operate year round. Frank not only puts on a world class contest, he also has probably close to 15 great live bands playing all weekend, on 3 different stages. This is a huge event for Winter Haven, drawing in nearly 20,000 people. 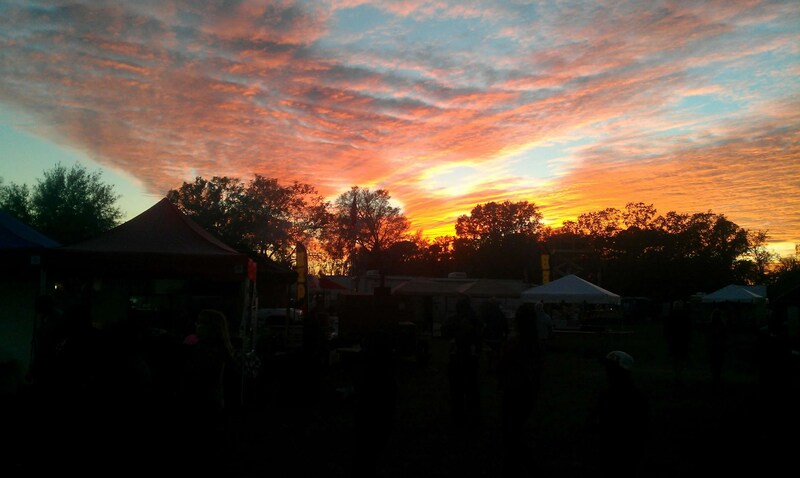 Being our hometown contest we always make sure we vend our barbecue here. 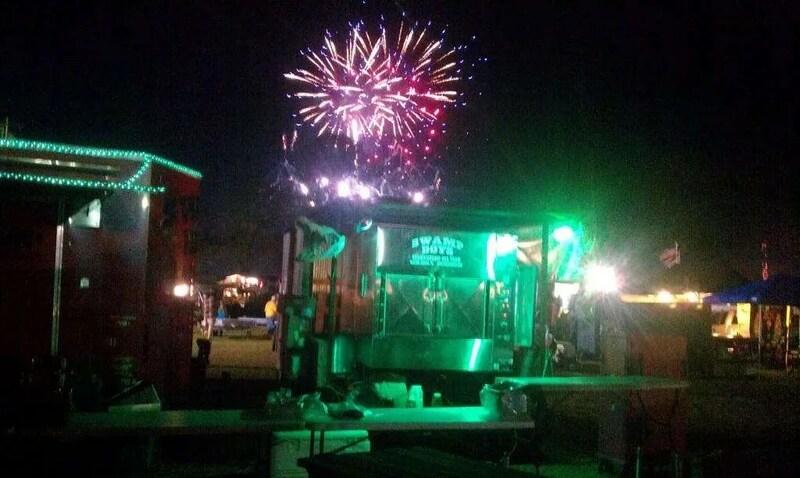 I smoked 60 slabs of ribs, 150 pounds of pork, and 2 bushels of corn for the crowds and we were sold out in a matter of 5 hours. The Swamp Crew set a SOTW record, 2 record-setting weekends in a row! We were sold out by 3pm. To our friends we didn’t get to feed, we’re sorry. Come earlier next year! As far as the competition went it was a major challenge for me. Murphy’s Law was in full effect starting Friday night and running through turn ins. Saturday morning I was so frustrated with everything I had about given up on the contest. I got everything turned in though and had figured that hopefully I would place in the top 25 out of the 56 pro teams. I was pleasantly surprised when I got an 8th in chicken and 3rd in pork, and really surprised to come in 6th overall. I’ll gladly take it! Still in the #1 spot Nationally. A big thanks to my sponsors: Butcher’s BBQ, BBQr’s Delight, 3 Eyz BBQ, and Wicked Q. You guys make it all come together!